April 22nd marks Earth Day and at WineCollective we take our impact on the world around us pretty seriously. In fact, it’s one of the reasons we chose to forgo traditional print tasting cards in favour of our digital tasting guides. Since our business relies heavily on shipping fragile product across a very large country, we have to ensure our shipments are protected to minimize breakage. 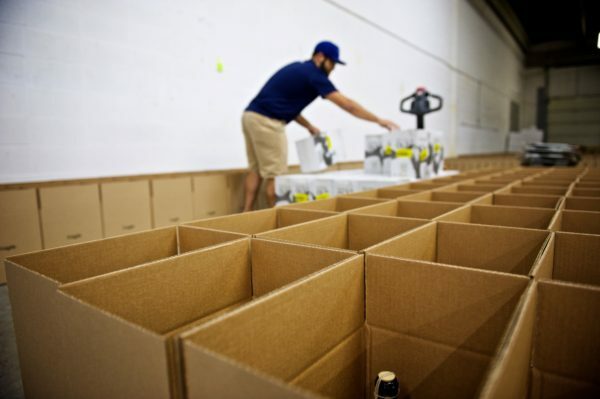 We are always looking for innovative changes to wine shipping and try to source packaging that is sustainable and protective enough so that you always get unbroken bottles that are ready to drink. The reality is, because of the fragility of wine bottles, we need something substantial to protect them. So we ship our wine in cardboard boxes with expanded polystyrene (EPS) #6 inserts – which is the most readily recyclable Styrofoam material. Luckily over the years it has become increasingly easier to recycle EPS, however we do acknowledge it is still not a perfect process. London Drugs stores offer free polystyrene recycling at any of their locations across Canada! Through their “What’s the Green Deal?” program, you can drop off your foam packaging any time. Recycling BC offers polystyrene recycling at over 250 locations across BC. Check out their website to find the location nearest you. Did you know there are a number of ways to recycle wine products? As everyone tries to work harder and make changes in their lives to reduce their plastic consumption, recycle more, and change old habits, WineCollective is right there with you. We are always striving to look for new ways we can have minimal negative environmental impact and hope that as time goes on, there will be further changes in the packaging industry to offer sustainable and protective shipping solutions. Happy Earth Day and let’s celebrate our amazing home with some wine by candlelight! It seems like every day is a new “national” day of celebration – whether it be for hot dogs, beans, or umbrellas, everything gets its own day of recognition. Celebrating is fun, so it’s not that we’re complaining. 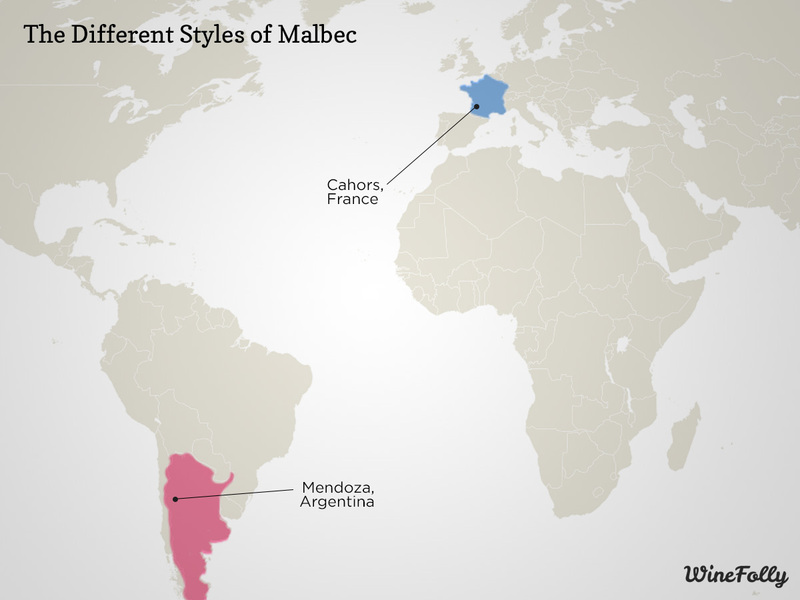 We bring up this phenomenon because today is Malbec World Day! The name may sound a little funny to English speakers, but the sentiment is all the same: let’s celebrate great Malbec. Malbec World Day was started in an effort by the Argentine government to ramp up the purchasing of their Malbec and now Argentina produces over 85% of the world’s supply of Malbec. That is quite the market share. Even though the grape originated in France (where it is often known as ‘Côt’), Argentina was the first to really embrace the Malbec varietal. Wine Folly has a really great blog post comparing the two, if you would like to learn more. It is undeniable that the hard work put in by Argentina to expand Malbec as their main grape varietal has allowed the wine type to flourish. Though you can also find Malbec being made in the US, Chile, and Canada – Argentina and France still remain as the world Malbec powers. La Chamiza Polo Amateur Malbec : The Amateur line from La Chamiza are intended to portray more youthful and energetic qualities, which is evident in their Malbec. This is a fruit-forward profile on the nose, but there is something extra with every swirl. When tasting, there is a distinct jammy quality in the mid-palate that gives this a bolder presence and fuller body while still remaining effortless with moderate acidity. Sierra Los Andes Malbec : If you want a pure, quintessential example of a mid-priced Argentine Malbec, this is it. Grown from the pristine El Alto Vineyard located in Ugarteche, the 1050 meter altitude gives rise to a balance of fresh acidity, plump texture, and vibrant fruit flavours. This Malbec offers a plush, velvety mouthfeel and lightly chewy tannins. It is definitely dry, but balanced by the ‘sweet’ flavours of sun-kissed fruits, giving us a textbook Malbec. Klassen Astrum Barrel-Fermented Malbec : This premium Malbec is a truly special experience to enjoy. Fermentation occurring directly in oak barrels imparts soft, silky tannins and better oak integration, making this Malbec very quaffable. Medium to full-bodied, good tannin structure and balanced acidity, try serving a glass with a charcuterie platter or lamb. We have a small, finite quantity of this vintage and are very excited to share it with those who choose to invest in such an exceptional Malbec. No matter which Malbec region you choose to imbibe, we always recommend selecting a Malbec produced by a knowledgeable, reputable grower. Luckily there are many in the world who are sharing incredible wine that can be enjoyed any time of year. So raise your glasses and help us in celebrating Malbec World Day! ¡Salud! Is that Spring, beckoning our call? It just might be! March is a finicky month – with strange weather and often no stat holiday. All the confusion of being between seasons and dealing with a time change, makes March the perfect time to embrace a chilled Pinot Gris or a full-bodied Cabernet Sauvignon. 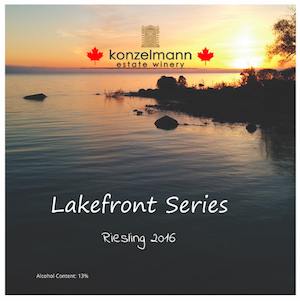 Curious about the selections WineCollective sent out to subscribers in March? Check out the list below! Ladybird Red Blend – Petite Sirah, Cabernet Sauvignon, Syrah, Petit Verdot | Paso Robles, California **Exclusive! Ladybird – Chardonnay | Central Coast, California **Exclusive! Ladybird – Cabernet Sauvignon | Paso Robles, California **Exclusive! Domaine of the Bees Grenaschista – Grenache | Côtes Catalanes, France **Exclusive! It can be daunting to take on this many wines, but luckily we are professionals here at WineCollective. Throughout the year we are travelling the world – both in person and in our wine glasses at home, to make sure we are sending out the best wine on the planet. Stay up to date with what we are featuring by following us on social media or subscribe to WineCollective and become a member! Why join a wine club? We will admit that we are a bit biased in answering this question. Even so, we have a pretty good argument as to why you should look at joining a wine club (if you haven’t already). There are quite a few different wine clubs on the market these days; however, that wasn’t the case when WineCollective started way back in ’09 (yes, we just aged ourselves). We’re very proud of our history and the almost 10 years that we have spent sharing thousands of bottles of wine with our members. Convenience. We are hard pressed to find anyone who doesn’t enjoy the ease of having wine shipped directly to their door. Curation. Let the club sift through the millions of bottles and bring you the best of the best. Education. Wine clubs take pride in sharing their wealth of knowledge with you in a digestible and shareable format. Exposure. Try wines that you would have never picked for yourself, or that you would never have had access to otherwise. We realize that the local liquor retailer might be just around the corner, and maybe you really enjoy shuffling through the aisles looking at the pretty labels. We think of the club as an opportunity to supplement your current wine habits, not entirely replace them. Your time and hard-earned paycheque are important to us. We hope to reduce the possibility that your random grab at the chain retailer is a dud, and give you a selection of wines that are already pre-vetted to be of top quality and value. You can buy great wine without breaking the bank! By taking this wine journey with us, we hope you pick up some tricks and tips along the way and become a more educated wine buyer. Arm yourself with the knowledge to pick that bottle from the shelf or wine list with confidence. You may find wines you appreciate, but don’t love, and others that become your new favourites. The club experience is a great way to find out what you really like in a wine. WineCollective works hard to find unique and interesting wines for our members, and a large selection of our wines are exclusive to our club. By committing to the club and being part of the collective, you give us the power to search for wines that we think you will love, and that you definitely deserve. 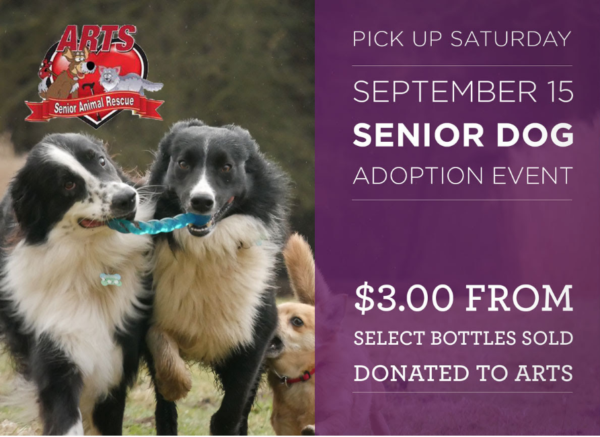 Last month we were host to ARTS Senior Animal Rescue. Throughout the month, customers at Highfield could purchase bottles of wine with a portion of the proceeds going to the non-profit. We also collected donations from patrons throughout the month, and held a meet n’ greet with some of their ‘adoptables’. Can you think of a better way to spend a Saturday afternoon- sampling wine and petting furry friends? We are happy to report that with your help, we raised $790 for ARTS, and one of lucky seniors found its forever home! Thanks again for all who joined us and donated! Stay tuned for our upcoming monthly partnerships, like the donation drive for the Mustard Seed that is running until October 31st. Love is abundant this February, and we don’t just mean flowers and chocolate! We couldn’t spend our days searching for, tasting, writing about and sharing the most amazing wines from all over the world without our members; we love you guys! So, in keeping with February’s Valentine’s Day – Love is in the Air vibe, we have decided to express our warm fuzzy feelings to our members and their nearest and dearest through our relaunched referral program. 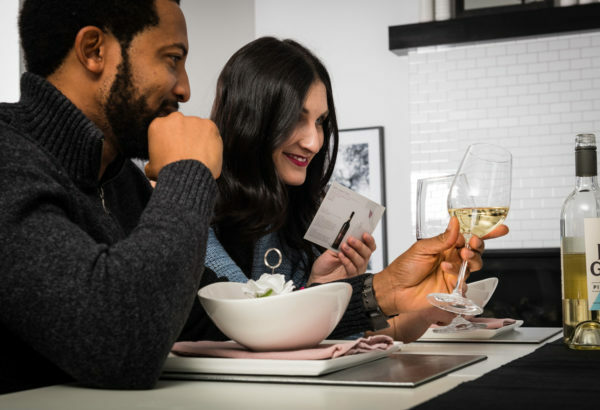 During the month of February, anyone you refer will receive a $25 credit upon signing up for a new WineCollective subscription, and you will receive a $25 credit for each referee who signs up using your name in the referral field! This credit can be applied towards an upcoming subscription payment, or you can use it in our online WineCollective Store to get even more of the wine you love. Need another reason to tell your friends and family how much you love us? Offer them the coupon code 2LOVEWINE so that they can receive 25% off the first 2 months, when they sign up for their new WineCollective subscription in the month of February. And a little something extra while you’re waiting for all that referral credit to roll in; use the coupon code LOVEWINE2018 to receive $20 off all orders of $100 or more in the WineCollective online store during the month of February. So much love! Are you excited about all that 2018 has to offer? So are we! We are looking forward to another year of bringing you the best wines from all over the world and we wanted to start the New Year by showing our support for one of one of our very favourite wine producing nations, Australia. Australia Day is on January 26th and we have decided to show our appreciation for their remarkable wine industry by celebrating all month long! 1. Australia is the fourth largest exporter of wine in the world, with around 700 000 000 litres of wine exported annually. 2. Over 1 billion litres of Australian wine are consumed each year, this math tells us that Australians really like drinking their own wine! 3. More than 2400 wineries thrive throughout Australia over 6 states, with the most planted varietal being Shiraz. 4. 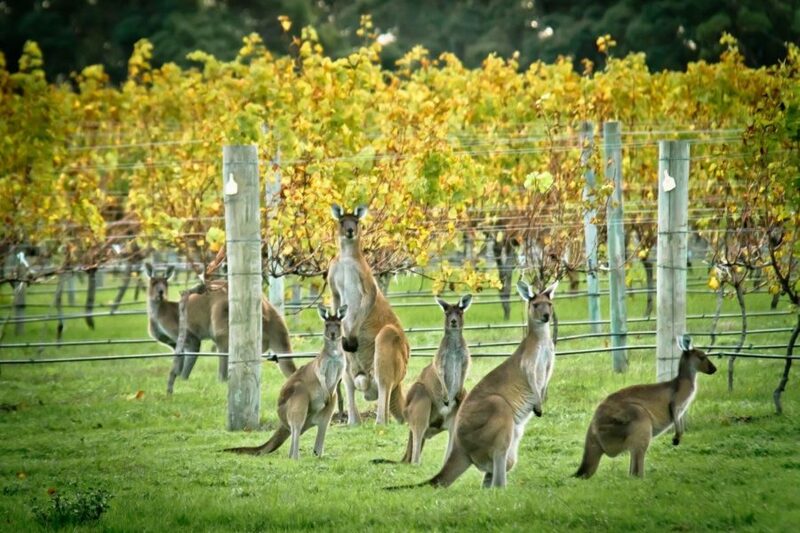 Australia has a large organic wine industry and has even hosted the International Biodynamic Wine Forum that includes organic and biodynamic vineyard owners from around the world. 5. 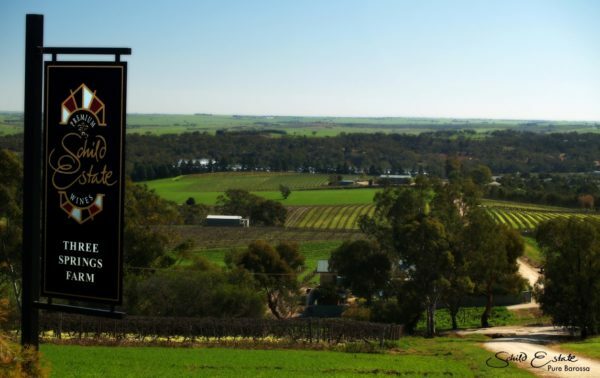 The oldest Australian wine producing region is Barossa Valley, you may recognize this as the home of one of our favourite producers, Schild Estate. 6. Australia’s terrain did not originally produce any native grape varietals suitable for winemaking; all varietals for production were transplanted in order to create Australia’s wine industry. 7. Barossa Valley is home to old vine Shiraz and Grenache crops dating back as far as the 1840’s, Australia’s first vines arrived in Sydney in 1788, however it took some time for the vines to thrive. 8. Sometime around 1875, a devastating outbreak of phylloxera (tiny vine eating insects) nearly abolished Australia’s wine industry by destroying thousands of hectares of crops. The cure for this plague came from the discovery that American vines were not susceptible to the damages caused by the insects. American vines were planted and European vines were grafted into the plants, creating a hybrid that was immune to this disease, ultimately saving the Australian wine industry. It took almost a century for the Australian wine industry to recover from this disaster. 9. Following the phylloxera outbreak, Australia’s wine industry was mainly focussed on sweet, fortified wine production. Now, Australia is one of the only countries that produces every major style of wine and there are over 60 wine producing regions throughout the country. 10. Australian wines have won awards at almost every major international wine competition, while setting records worldwide for the price of a single bottle. In celebration of this great nation, we will be offering discounts on all Australian wines the whole month of January, don’t miss your chance to stock your cellar with some of our Aussie favourites! Check out our members only WineCollective store to find all Australian wines discounted an additional 10% off our already reduced member pricing! Not a member? 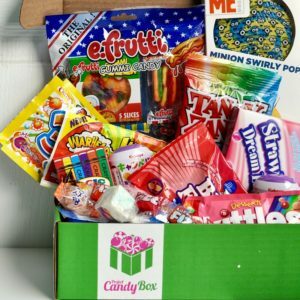 Use the coupon AUSTRALIAMONTH to receive $15 off your first delivery, and gain access to all the savings! WineCollective is Canada’s largest monthly wine club, featuring exclusive wines, sourced from around the world. This past August, Oakridge Wines were exclusively launched online in Canada through WineCollective, giving our members a first-look at these premium Australian wines. 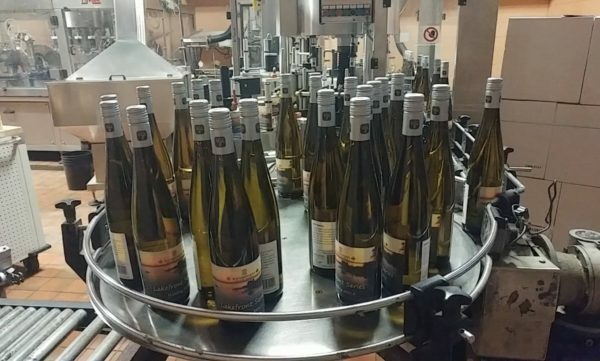 Oakridge wines will soon be available in Canada through the winery’s DTC program. Oakridge wines have been scoring well with critics internationally, and we are thrilled to be the exclusive online retailer and offer our members insight into Gourmet Traveller’s Winemaker of the Year 2017 winner, David Bicknell, Chief Winemaker. A conversation with David Bicknell, named Gourmet Traveller Winemaker of the Year 2017. 1. Tell us the story of how you came to be Chief Winemaker at one of Australia’s most premium wineries. When I was recruited to take over the winemaking at Oakridge in 2002, the place was a mess. Nearly everything was broken, including much of the wine in the cellar. 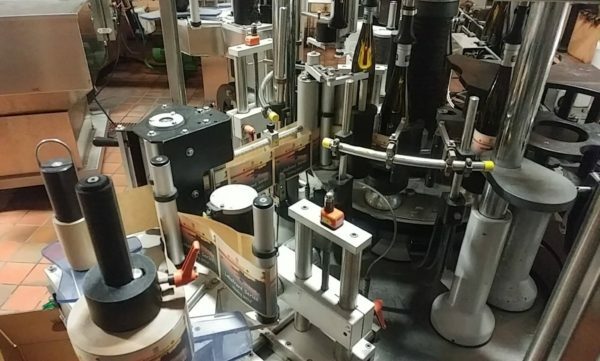 So over several years, I worked at putting it back together again, put a fresh face on the winemaking, and generally cleaned away all the mess. 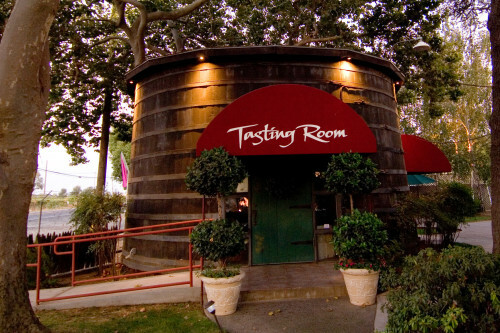 By 2008, I had been nominated by AGT for winemaker of the year, so I knew I was on course. 2. In your time as a winemaker, what has changed most in your style from the time you started to where you are now? The biggest change has probably been vineyard sourcing. That has unfortunately moved around a bit. Early on, we didn’t have the financial robustness to hang on to some of the good vineyards. But luck’s worth a fortune, and more recently, combined with a better, healthy in business, we have been able to secure vineyards that are potentially better still. The wines from the new vineyards are just starting to filter through now. On a winemaking level, there has been a refinement in picking to earlier dates with superior natural acidity, and that combined with lower oak inputs and fermentation with indigenous yeast , has allowed for better expression of fruit without clutter. It is a minimalist expression, with sharp, clean lines. The wines should be fruit flavoured, not tree flavoured. We refer to barrels as wine coffins, where wines go to die if you leave them long enough. We replace less than 8% of our barrels every year. 3. What was the best advice you received when you entered into the winemaking business? Keep your mind open. If you think you know it all, then you’re probably dead in the water. It’s one of the things I love about the industry in this land. There is a spirit of adventure and a thirst for knowledge. The pervading will of the winemaking community is always find improvement. 4. What do you think the next most popular style will be to come out of Australia? What other trends are on the horizon in the industry? 5. What are the most significant changes you have witnessed with regards to how grapes are grown and winemaking processes in your career? Firstly, A more holistic approach to making wine where the key ingredient (grapes), should not require amelioration to achieve balance. Regions are tending to focus on local hero varieties, where, if you get it right, nothing else needs to be added. Secondly, our ability to cope with climate change. We have had to learn to be more protective of the grapes. 6. What should Canadians know about the recent vintages of Australian wine? The recent vintages have been very consistent. 2015, 2016 and 2017 are all loaded with good wines. The other thing you have to remember, is that is, like Canada a big country. Most of western Europe fits comfortably inside, so there are a vast range of climates within, so the range of wines is vast too. 7. 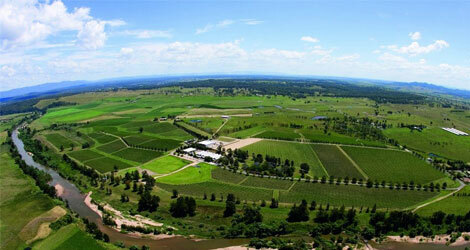 In your opinion, what is the Yarra Valley’s defining feature that sets it apart from other Australian regions? Many regions are relatively homogenous. Burgundy is a classic example of consistent geology, geography and varieties. Not so here in the Yarra. We have a mixed ancient geology of both volcanic and alluvial origin ranging from 250-500 million years old (Burgundy is only 200 million years old), and due to our mixed geography with elevations ranging from 90 metres above sea level to 450 metres above sea level, depending where you grow on that scale, almost anything is possible. At the bottom we are a touch cooler than Bordeaux and so can reliably ripen cabernet sauvignon. At the top, a little cooler than Champagne, with only sparkling base capable of ripening. Our focus has been on the mid-sections to grow chardonnay and pinot noir with excellent results. 8. What makes the vineyards you work with unique? If we believe in the concept of terroir, then all sites, in theory, have a unique taste. We are still exploring that concept and learning what makes these differences and why some vineyards taste better than others. For instance, we are currently working with four different chardonnay vineyards that all make wines of similar high quality, however, all four have distinct differences in both flavour and texture, making them all taste different, despite using the same winemaking technique. In three of these sites, we are the sole producer, so these sets of flavours cannot be reproduced by others. 9. Outside of Australian wines, what region do you gravitate towards when drinking? In no particular order – Chablis, Burgundy, Piedmonte, the Mosel and Galicia (Ribera Sacra etc). WineCollective members have received the following wines from Oakridge. As part of the package, members receive our notes and food pairing suggestions. 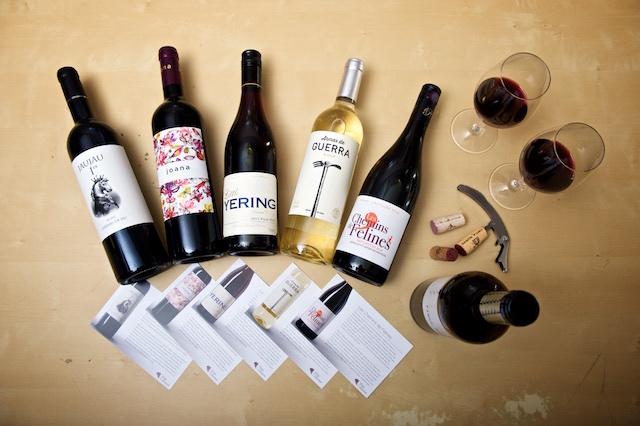 Take a look at our tasting cards and notes to see all that these fantastic wines have to offer. 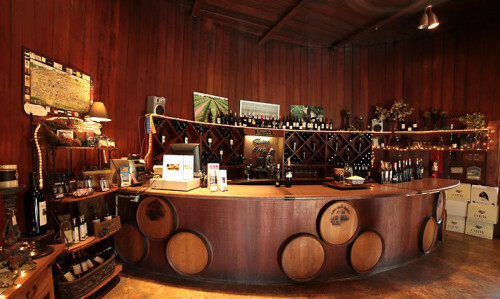 Learn more about Oakridge Winery and their world renowned wines. Visit WineCollective to learn more about our ultimate wine experience and to start enjoying delicious wines just like these, from all around the world, delivered right to your door. I used to know that I enjoyed wine, but I honestly couldn’t have told you exactly why. I loved the taste, of course, but I was sure that I hated all Merlot and that white wine in general was just ‘okay’. I enjoyed the smell, but to me, all reds just smelled like wine, or if I was getting really creative, like grapes. All white wine tasted like juice, and I tended to drink it as such, without paying much attention to it at all. I was completely content with my limited wine knowledge, because I honestly had no idea how limited it was… until I joined the WineCollective team. For the last several months I have been surrounded by my very impressive team of wine professionals and they honestly blow me away with their knowledge and love for wine. 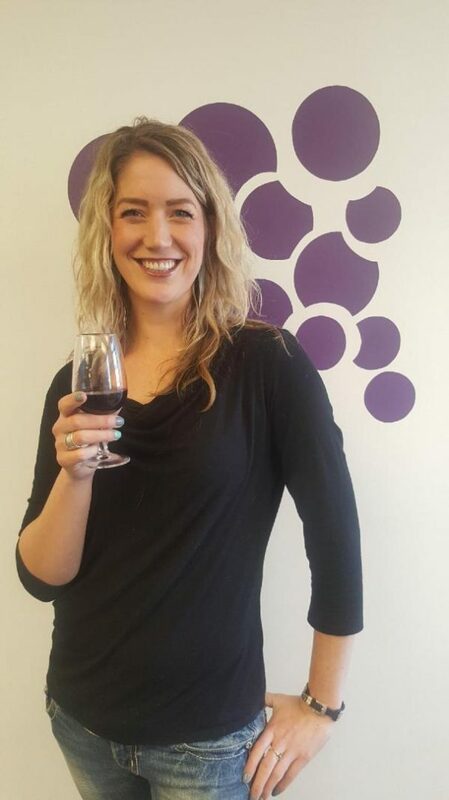 I remember the first time we did a wine tasting in the office, it was during my very first week working at WineCollective as the Customer Service Coordinator. I probably sat with an inch of California Merlot in my glass for an hour, trying to identify the things that the rest of the team were saying they smelled and tasted. 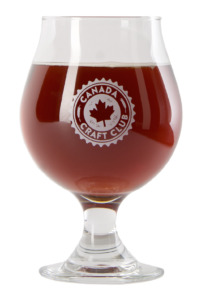 Plum, cedar, vanilla, strawberry, rhubarb… what?? Since when are all of these things, and more, present in this one glass of wine? How have I missed this for all these years? And so my wine education began. Since that day, I have focussed on learning about wine, I even enrolled in wine school and have completed my Level 1 WSET course through Fine Vintage Ltd.. I now find wine amazing! Not only because it’s delicious, but also because of the culture that exists around it, the generations of families whose way of life rely on the wine industry and the intricacies in each and every wine making process. Wine is about 7000 years old! There are over 10,000 grape varietals, about 1,400 of them are used to make wine. Maybe the most obvious, but I swear it never occurred to me, the type of wine, ex. Merlot, Cabernet Sauvignon, Pinot Grigio is the grape varietal used to make that wine. Shiraz and Syrah are the same grape. Shiraz is grown in warmer climates like Australia, while Syrah is grown in cooler climates like Northern France. Climate, region, growing season, altitude and winemaking practices all have drastic influences on each bottle of wine produced, so a complete dislike for one particular varietal, worldwide, would take a lot of research to confirm. White wine only tastes like juice if you drink it as such. I have been most surprised by my gained knowledge of white wines! I’ve found beautiful, tantalizing aromas and flavours in white wines such as peaches, passion fruit, pineapple, honey, caramel, vanilla and so many more, what’s not to love? Riesling, though delicious, can smell and sometimes taste mildly like petrol or rubber bands, usually more apparent in aged wines. This can take some getting used to, however there are many other beautiful flavours present in Riesling to focus on. “Sweet wine” is actually a style of wine, for example Ports or Sauternes. Describing the majority of wines as sweet in inaccurate. Sweetness may be implied by the flavours present in the wine, but there is actually very little sugar in the majority of quality white and red wines, which are mainly categorized as dry wines. I could go on and on. My family and friends lovingly refer to me as a wine snob now, but I would say that the difference in my attitude towards wine is that I’m actually paying attention. I’m looking for more in wine than I ever have. It takes practice to be able to identify the complexities in wine and I have a lot to learn, but I am definitely enjoying the process. I encourage anyone who has never explored wine this way to try it out. Spend some time looking at, smelling and really tasting the wine in your glass. Don’t get discouraged if at first you don’t smell or taste anything but grapes, keep trying and you will surely enjoy what you find! Want to talk wine or have questions about WineCollective? Pick up the phone or send a note to Jessica! The entries submitted, the public voted, the winners announced, and now the bottles have been labeled. 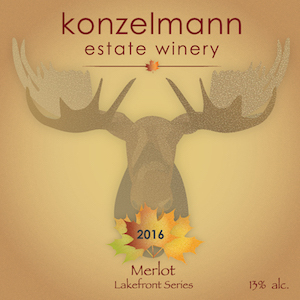 We held a wine label design contest with Konzelmann Winery to celebrate Canada’s 150th birthday. The theme in mind, faithful wine lovers submitted nostalgic photos and creative designs in Canadiana spirit. 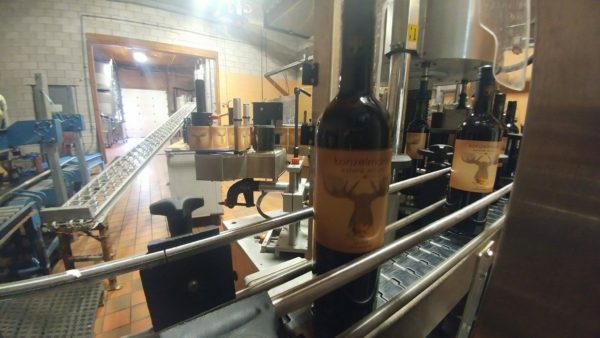 The Konzelmann crew has been hard at work to ensure labeling perfection. We are proud to launch these wines, exclusively to our WineCollective members. Both of these wines will be featured in WineCollective April editions, en route to members April 17th. If you are not a member, you still have time to join and receive these limited edition features! 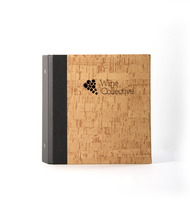 You have just joined WineCollective, or, you are the recipient of a pretty awesome gift. What to do next? While we are busy preparing next month’s deliveries, here is what you can do to make the most out of your WineCollective experience. Joining us on social media. Be our friend and keep up with what is going on in the WineCollective world, from events and education, to giveaways and contests. Become acquainted with your online account. When you login to your WineCollective account, you can update shipping information and payment information and keep tabs on your upcoming delivery. Once you receive your first delivery of wine, you will also be able to view all the wines you have received. 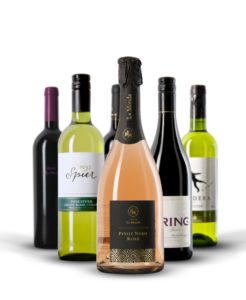 Explore the online wine shop. Members receive 10% off all wines, and some selections are for members-only! Can’t wait for the first delivery, get a head-start on your WineCollective journey. The coupon code NEWWINEJOURNEY10 is good for $10 off your first online store order. Learn more about us! Take some time to discover our Blog and find out why we are so passionate about giving you the ultimate wine journey. In Calgary? Visit our retail store, Highfield by WineCollective for great members-only deals on wine, beer and spirits! We understand that the anticipation must be overwhelming, waiting for a package is always exciting, especially when it is wine! Here is a bit of what to expect so that you are prepared to receive your wine. We will send you our Heads Up email on the first of the month, reminding you of your delivery and providing you with an estimated ship out date. Make note of our cut-off date in the Heads Up email. You have until the specified date to let us know if you need to arrange an alternate delivery date, or change your shipping information. After this date, we will not be able to amend addresses or delay the delivery, so be sure to reach out in time! You will then receive a Shipped Email when your package leaves our headquarters in Calgary. This email will contain your very valuable tracking number. Use this information to arrange last minute shipping changes with your courier. Your wine must be signed for by someone over the age of 19 and it can not be left on a doorstep or porch. Missed the delivery? Here are the next steps with each of our couriers. Share your experiences with us, from food pairings to favourite features, and even those you would rather not taste again, we love to know what you think of the wines!